Now there’s, even more, to sip and savor at one of Orange County’s original independent retail and food halls. 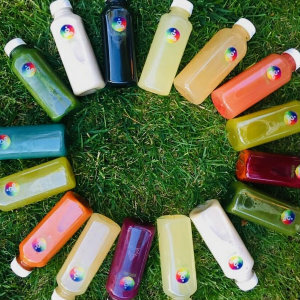 Already home to popular spots such as Portola Coffee, Cubed Poke, Blacksteel Barbershop, Milk Box and Berry Brand, Union Market Tustin’s roster now includes Roba Noodle Bar and Auraganic Juicery, along with updated concepts from All Coco X MNGO Cafe and Stowaway, formerly Hatch. Roba Noodle Bar is a fast-casual eatery serving Japanese-inspired noodle bowls and grilled robata skewers. Diners can choose from assorted udon noodle bowls dressed in a variety of housemade sauces, including Uni (sea urchin), spicy Kimchi, Beef Kombu, Miso, and Mentaiko. Robata skewer options include a selection of meat, seafood, and vegetables such as Prime Ribeye, Chicken, Kurobuta Sausage, Chilean Seabass, Salmon, Brussels sprouts and Asparagus. Roba Noodle Bar is located across from Portola Coffee. Pina Colada. Additionally, there are grab & go snacks and treats such as vegan black bean brownies, raw kelp alfredo, raw tostada, raw pizzas and more. All ingredients are raw, gluten-free, vegan and plant-based. Auraganic Juicery is located next to MilkBox. All Coco has partnered with popular San Diego dessert concept MNGO Cafe to become All Coco X MNGO and will now offer coconut and mango-based desserts and treats, from shaved ice to smoothies. 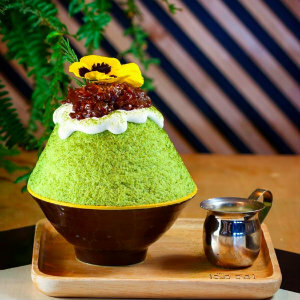 In addition to All Coco’s signature coconut soft-serves, slushies, grab & go puddings and coconut water, new items include the Instagram-worthy Kakigori, fluffy Japanese-style shaved ice with fresh mango and mango pudding or Ube (Taro) with diced taro and taro pudding, as well as Matcha shaved ice with red bean paste and grass jelly. Fans of the traditional Thai Mango and Sticky Rice dessert will enjoy the OMG! platter, with intricately carved ripe mango, assorted scoops of sticky rice and mango ice cream, all drizzled with salty-sweet coconut milk. Another Thai treat worth trying? The Coconut Milk Sago, a drinkable dessert made with tiny tapioca pearls and coconut milk, then topped with your choice of mango, Thai tea, Matcha or Butterfly Pea tea. Fans of all things Tiki and Tiki culture will find a revitalized haven at Stowaway. 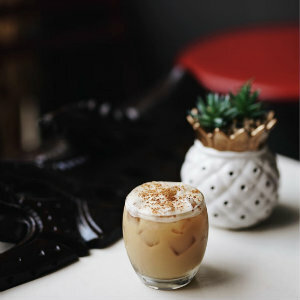 Local restaurateur Leonard Chan and partner Dominic Iapello have now gone full-Tiki with the former Hatch bar & eatery. In addition to 17 craft beers on rotation, there are now 27 Tiki cocktails on the expanded cocktail menu and the rum selection has quadrupled to 50 bottles. Food-wise, some favorites like sliders and the Loco Moco remain, while new Polynesian-inspired additions include a tempura- battered Spam Musubi and Chinese five spice chicken wings. The kitchen can also accommodate gluten-free and vegan preferences – the Impossible Burger is another new option. Stowaway is tucked behind Blacksteel Barbershop. Union Market Tustin is at 2493 Park Ave. in Tustin.